It is better to say nothing than to make a promise and not keep it. 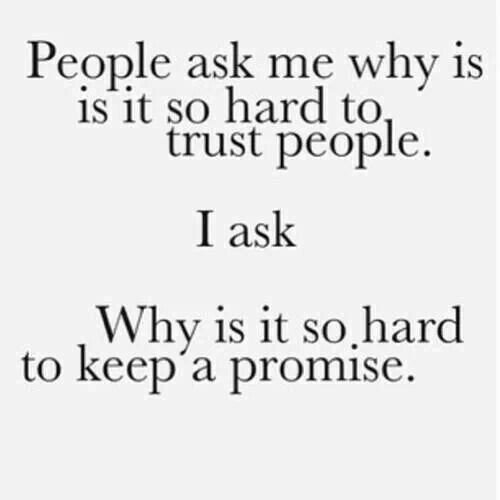 These days we find it hard to trust anyone, it’s only because people failed to realize the importance of the words like Trust, Promise and Honesty. It has only become dictionary words in the vocabulary list. Young and Old both have broken promises over times at various instances, that merely belittles them. Bible says, it’s better not to make a promise than to make and break it. If you are true to your conscience learn that crumpled papers can’t be restored so is this trust in life. Have a great day. God bless you.